Apple had plenty to say about Siri, its voice-driven personal assistant, during the company’s Worldwide Developers Conference keynote Monday. 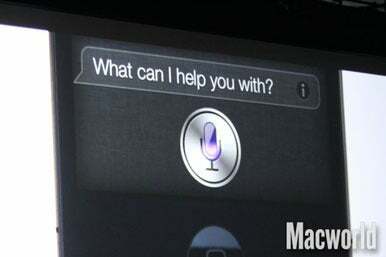 Siri will have a starring role in iOS 6, the next version of the operating system that powers the iPhone, iPad, and iPod touch. And it’s moving beyond just the iPhone 4S to the latest version of Apple’s iPad. Siri knows basketball too, Forstall explained. He asked Siri “Who is taller, LeBron or Kobe?” And Siri knows about the NFL, as well; during his demo at WWDC, Forstall asked Siri, “When is the San Francisco 49ers first game of the season?” and got an answer. 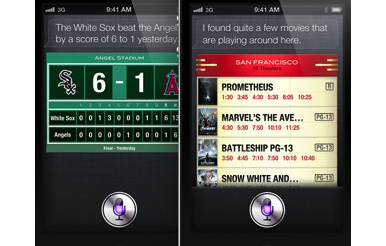 Other sports Siri will support include hockey and soccer. Siri also knows a lot more about restaurants, Forstall said. It now includes more details when you look for eateries—results are sorted by rating, include average meal prices and restaurant styles, hours, reservations (via Open Table), integrated Yelp reviews, and more. 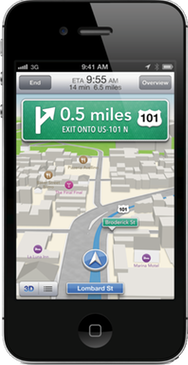 And Siri on iOS 6 can launch apps. Forstall demonstrated by launching Temple Run with a voice command. You can also tweet by talking to Siri, he said. Forstall also mentioned a new feature called Eyes Free. He said Apple is working together with car manufacturers to integrate a button for triggering Siri from your steering wheel; among the companies looking to integrate that feature in the next twelve months are GM, BMW, Mercedes, Land Rover, Jaguar, Audi, Toyota, Chrysler, and Honda. Siri’s also getting more international, with support for Canadian French and English; Italian; Spanish (for Spain, Mexico, and the U.S.); Swiss Italian, French, and German; Mandarin for Taiwan; Cantonese for Hong Kong; and Mandarin and Cantonese for mainland China. And soon another iOS device will find its voice, too: Forstall said the third-generation iPad will get Siri support as well. Updated 12:23 p.m. PT with more information and screenshots. Apple on Monday quietly released an update to the tower Mac, nearly two years after its last update.